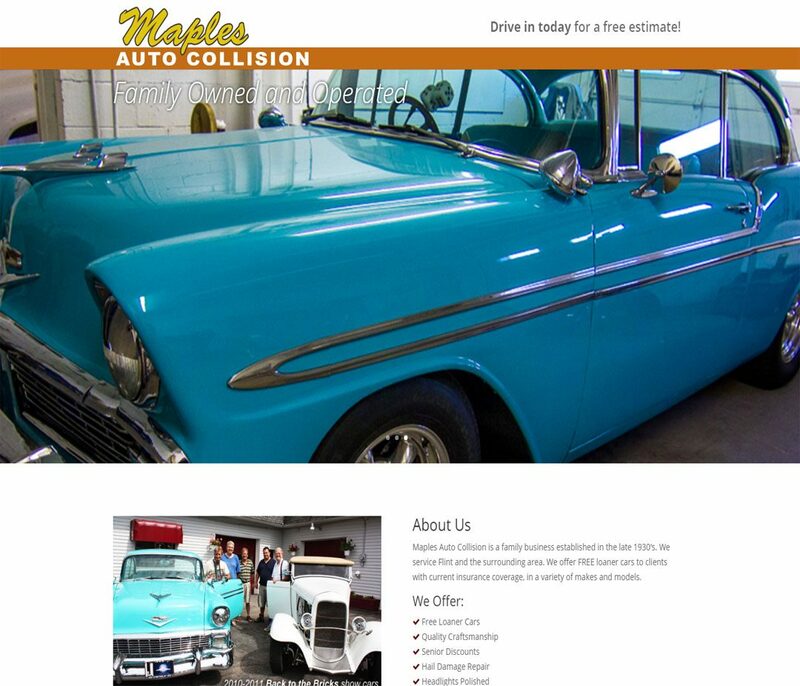 Maples Auto Collision is a family business established in the late 1930′s servicing Flint, Michigan and the surrounding area. This website came to us with a good basic design already in place. The client preferred to keep this original design, and we built on top of it. We added new content better describing the unique offerings of this extraordinary business, and corrected some technical problems with the opening slider presentation. We consulted with the client and helped to fine tune the way the website interacted with their customers.